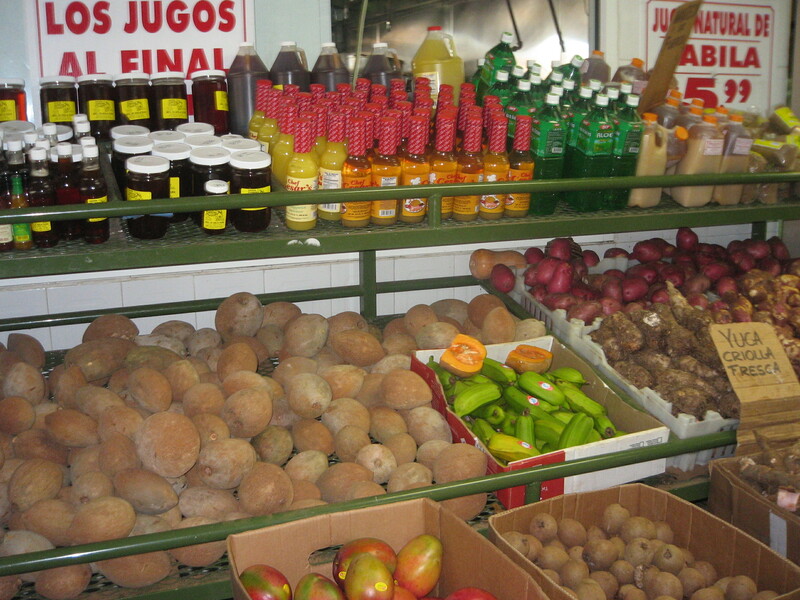 I’ve wanted to write about El Palacio de los Jugos, Miami’s landmark-fruit stand, take out, pork corner-but didn’t now where to begin. The last time I visited I was a little surprised at just how out of place I felt there among the steady chaos. I hadn’t been home for awhile and felt shy of asking too many questions, showing myself for the tourist I had become. Luckily, Fernando, a regular who the woman at the counter tolerated with a grudging smile, was next to us. Unprompted, he pointed out the things we couldn’t leave without and in a few minutes we had fresh tamales, chicharrones de puerco, homemade guava paste and queso blanco the owners bring in from their farm. My friend Lydia Martin’s recent article for the Miami Herald, “Palacio de los Jugos: Where Miami Goes for a Taste of Cuba,” makes sense of the bustling market and tells the story of the family at its heart.